Solid black dog harness made of nylon, with a lined back plate. Nice decorations with skulls and bones. The harness is adjustable. 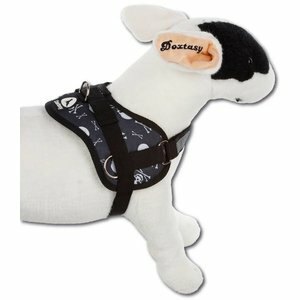 A very practical little dog harness, made of nylon. The fabric is nicely decorated with Skulls and Bones. 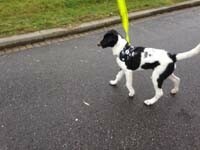 It is well suited for playful and active dogs. The backplate is lined. You can hook the leash on top of the back section and the dog does not make direct contact with the metal. 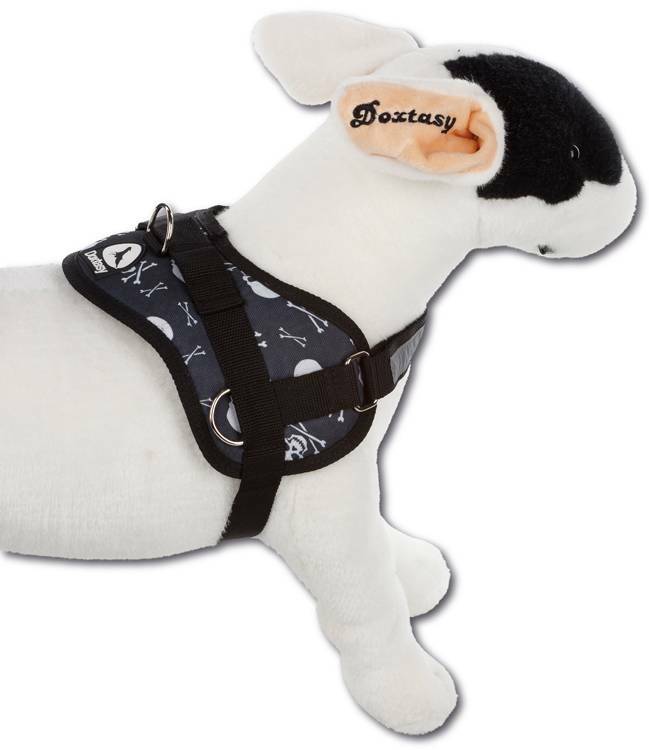 The harness also provided with a handle and is adjustable. For better visibillity, the harness has a reflective tape on the front.